InTruBeauty: 1-2-3 Products to Big Hair! There are some days where you wake up and just say, "I want big hair today!" 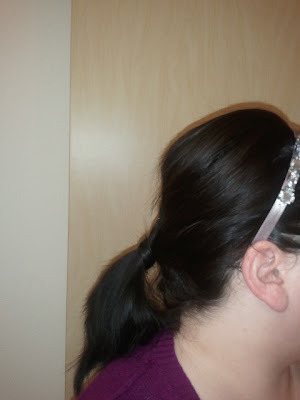 I'm not quite talking Snookie like proportions, but a nice sophisticated bump or just some added volume to your hair. Here are three great products to easily get that boost to your locks. Spray this in a line along your roots in desired areas and then blend in with the tips of your fingers.I use this along my part and to make a little mini bump in the back. Don't spray too much or your hair will look sticky. This product actually works! You can spray this in concentrated areas or all over for a glam polished look. I just ran out of my can and am very very sad :( booo. This is kind of pricey, but it does last probably 4-6 months I would say and I used it a least 2-3 times a week. 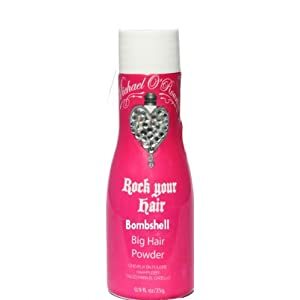 You can find this at TJ Maxx along with TIGI products as well. I love your ponytail. Did you wrap a piece of hair around it? It looks excellent! PS I got my MyGlam today!! Yes I just wrapped a little piece on the edge around and secured with a bobby pin underneath the pony tail holder. It adds a quick and easy touch that adds some sophistication.